OP2964. 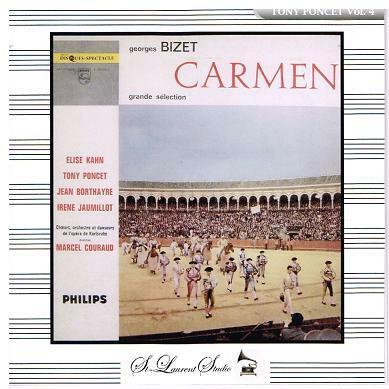 CARMEN - Excerpts, w.Courand Cond. 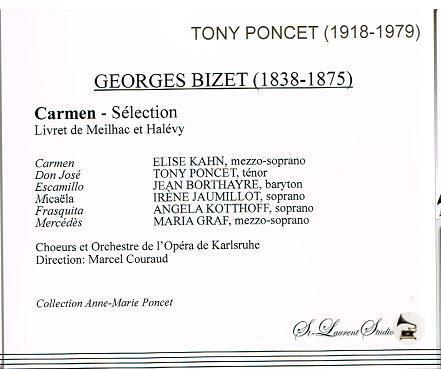 Karlsruhe Opera Society Ensemble; Elise Kahn, Tony Poncet, Jean Borthayre, Irene Jaumillot, etc. (Canada) St Laurent Studio YSL 33-234. Transfers by Yves St Laurent. 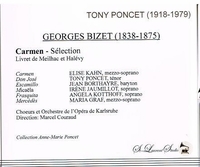 "Jean Borthayre is proof that a French baritone can sing with great warmth, full-bodied tone, immaculate diction and fine musicality. Borthayre has it all going for him."